Marc Quinn will supply one runner in the form of Banknote Beau to the Kempsey-Wauhope Jockey club race meeting on Sunday, June 14 with overcast conditions racing on a heavy 9, the rail is in the true position, with the galloper to compete in a maiden plate 1000m in race one with a three-year-old gelding having start number five, having placed on two occasions earning prize-money of $3000. Banknote Beau's recent efforts have been at Taree on May 25 finishing fourth of 13 on a heavy nine over a thousand metres with Andrew Adkins the pilot arriving 1.6 lengths behind the winner, he then headed to Taree on June 5 in a barrier trial finishing 4th of 9, 3.3 lengths off the heat winner in a time of 1:03.85. 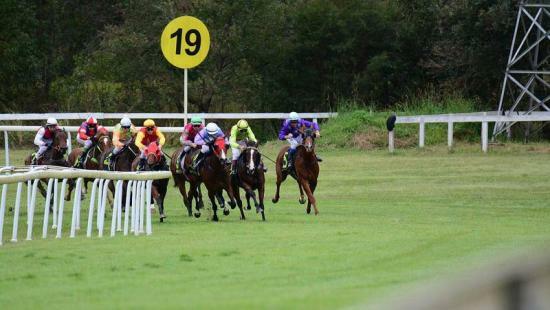 The stable would like to wish connections of Banknote Beau the best of luck at Kempsey on Sunday.